Since discovering my love for tea, like many new hobbyists, I set out to learn who else loved tea. My exploring led me to discover tea houses, events, retailers, and publications. This included the publication, The Tea House Times. The Tea House Times and its proprietor, Lady Gayle stood out to me for two reasons. First, if you visit the website and sign-up for the e-newsletter, it is sent consistently. Information often includes tea-related interviews, events, and tour announcements. Wherever one might expect Victorian tea-related information to be found, The Tea House Times shows up. They understand that a viable business model includes strong marketing. 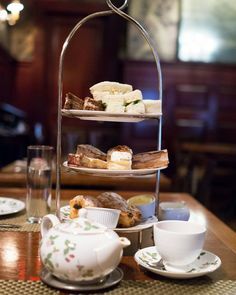 Committed to networking with lovers and owners of Victorian tearooms, Lady Gayle and The Tea House Times also stood out to me because of the business’ use of the Internet. The Internet landscape changes rapidly; its advantages to business constantly evolving. The Tea House Times promotes itself and others through link exchanges, using a blog updated a couple times of month, and announcing tea-related events throughout the nation. So when I asked Lady Gayle for a complimentary copy of their first cookbook compliation for review, The Tea House Times Best Afternoon Tea Recipes, Vol. 1, she sent me one right away. Having witnessed her work to gather favorite Afternoon Tea recipes, I looked forward to seeing the result. For a number of months, the e-newsletter allowed anyone interested to submit up to three recipes to the cookbook. Again, an advantage to Tea House Times and for those who wanted to take advantage of a publicity opportunity. A simple spiral-bound format, the book opens with five one-page articles covering the basic and helpful information tea-drinkers need, i.e. 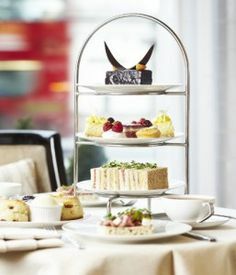 about storage, the difference between Afternoon/Low tea and High Tea, Tea and Health facts, etc. 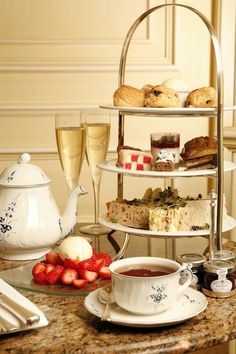 The chapters are organized by the usual courses an afternoon tea takes: soups, salads, finger sandwices and bite size treats, scones, and sweets. The last two chapters cover miscellaneous recipes (like a Key Lime Curd by The Main Street Mill Historic Tea Room I look forward to trying) and an Afternoon Tea for Children. The book scatters tea quotes throughout as well, courtesy of Lady Dawnya of Tea Radio. 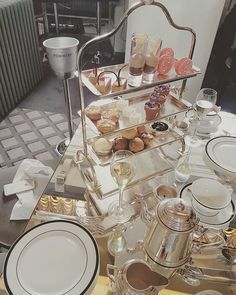 I found the chapter on Afternoon Tea for Children the most helpful, especially the section on Fast Fancy Finger Food from Victoria’s Traveling Tea Party. I knew my six-year old daughter would find herself in pastel heaven if I provided the suggestions for dipping, sprinkling, and sparkling marshmallows, graham crackers, and pretzels, for example. I found the information on storage, make-ahead options, etc. helpful. It brings the perspectives of a number of tea business owners and lovers instead of only one (and some of the recipes are remarkedly easy, chosen by hard-working tearoom owners, no doubt). It’s written with vision for networking. 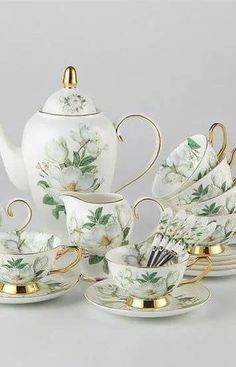 Each entry connects the reader with the recipe-submitter, including a website where applicable and plenty of information about Tea House Times. Again, Lady Gayle’s goals seem to include helping others while promoting her business, too. On the downside, I find the Tea House Times website very cluttered and difficult to sort out the info I’m interested in. And you all remember how I feel about clutter! For example, I can’t send you to a specific link to purchase the cookbook, just their gift shoppe and encourage you to scroll. But I recommend this collection (if you can find it on the site!) for easy tea-related food options. Interested? P.S. I receive no commission if you purchase this book, just my freebie ;-). Wow, I see what you mean about their website. I might have to join you on the clutter vote. Back to the recipes, being in Florida, Key Lime Curd sounds right up my alley! yum! Great review of the cookbook and I totally agree with you about the Tea House Times website. So many times I have visited that site and I found it very disorganized as well. Thanks for the review. Oh I simply LOVE your blog! I will be linking to it on Friday when I wrap up my week of teas. I am so glad you hosted a tea, otherwise I would have never seen your blog! Thanks for your lovely review of The Tea House Times Cookbook. There are so many wonderful tea rooms and they all deserve a chance at recognition for their fabulous recipes and this was a great way to help these businesses. 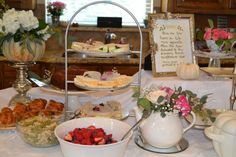 As you point out in your review, “The Tea House Times also stood out to me because of the business’ use of the Internet. The Internet landscape changes rapidly; its advantages to business constantly evolving.” – This is so right and the very reason we strive to connect tea lovers and tea businesses nationwide. Our website is content driven resulting in over 1.5 million hits per month and an internet ranking in the top ten websites in the tea category. So, we must be doing something right! It is a pleasure connecting so many wonderful tea business owners and tea consumers. And you can look for some website upgrades over the next few months – everything is always expanding and evolving to benefit the tea industry.